Quartz kitchen countertops are a bit of a new thing in the Mt. Juliet, Tennessee area. This has lead to a number of people not really understanding the facts about them. Let’s bust some myths about quartz kitchen countertops and help you understand what they’re all about. Great all-around surface: Quartz kitchen countertops are a non-porous material that makes it great for water resistance, and food preparation. Germs have nowhere to hide in them! Manufactured quality, natural material: Quartz kitchen countertops are about 90 – 95% quartz, a natural material. The rest is pigments that color it, and resins that bind it. This gives you the best of both worlds as it is engineered to be strong, and comes from a natural element. Some unique features with a consistent style: Quartz kitchen countertops are made from a natural substance, quartz, but are ultimately made in a lab. This means that you get some unique looks from differing quartz mixtures, but you know what you’re getting ahead of time as you order specific colors. Naturally heat resistant: While you can’t go and start setting your hot pans on it all the time as extreme heat will ruin nearly anything on earth, a quartz kitchen countertops will stand up to you setting a pan down on it in an emergency where lesser materials used in Mt. Juliet, Tennessee can’t stand the heat. What’s that saying about being in the kitchen and not standing the heat…? Wide color selections: The big reason why quartz kitchen countertops are really taking off in the Mt. Juliet, Tennessee area is due to the expanding color and patterning choices. Quartz kitchen countertops use to be available in a limited number of colors and patterns, that has all changed and it has changed their perception in the design world. If you think that your home in Mt. Juliet, or any of the surrounding Middle Tennessee area, will be better with quartz kitchen countertops, contact the design team at Stone World today. They can help you design, choose, and install your quartz kitchen countertops from start to finish. An important step in any kitchen remodel is choosing the right kitchen countertop material. The three most popular types of natural stone being used in the Nashville area are discussed below. Read on to discover which will be the best kitchen countertop material for your home remodel. 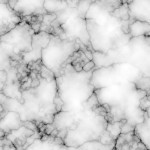 There is nothing out there that looks exactly like real marble kitchen countertops. This traditional countertop material has been used in homes all over the Nashville area for decades. Entire kitchens are done in marble, while some people also choose to use it only for their baking stations. Marble countertops are prone to etching and staining. A lemon can etch your finish as easily as bleach, and spaghetti sauce can stain it if left uncleaned. A marble stone polish can bring back some of its first day look, but it may never be perfect again. Quartz may be the world’s most indestructible material. A quartz kitchen countertop is a lifelong investment in your home. Quartz countertops can withstand your hottest pans, your sharpest knives, and routine household kitchen activities practiced in kitchens all across Nashville with ease. Quartz also has some incredible visual appeal as unique flaking and veining make each unique slab a work of natural art. Quartz countertops can be a bit costly. When you look at them as something that will be around the rest of your life, unlike cheaper materials, they don’t seem so pricey then! Granite kitchen countertops have been popular in Nashville for years and only seem to be on the up and up. The stunning colors and patterns that they come in make for some unique and exciting kitchens. They do require resealing periodically, and can stain. Neither of these are issues with quartz, but some care and good habits can negate this issue with granite countertops. 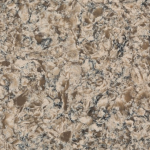 Which kitchen countertop material is right for your home in Nashville? If you’re still unsure of which kitchen countertop material to choose for your kitchen remodel in Nashville, contact the team at Stone World. They’ve helped steer a number of residents towards the most satisfying kitchen countertop material for their needs! Nashville homeowners who are doing a kitchen renovation with a future home sale in mind are always wondering how much new granite kitchen countertops can add to the value of their home, or if another material would be better. Given how popular granite kitchen countertops are in the Nashville area, it can hardly be called a poor choice to go with granite as your kitchen countertop material. But let’s look a little more in depth at the issue! The durability of the material. The potential for it to appeal to future homeowners in the Nashville area. Looking at granite kitchen countertops, granite is one of the most durable of all building materials. It will last for long after you sell it to the next homeowner: a great bargaining chip during negotiations! It’s appeal to local homeowners is well established. Granite has long been a status symbol amongst the more well off locals, but it is now a point of pride amongst your average citizens as well. Granite kitchen countertops certainly fill the need of appealing to future homeowners. It is able to incorporate itself into a number of design ideals. A wide cross section of the population finds it appealing. Think about it, when was the last time someone told you that nature was ugly? 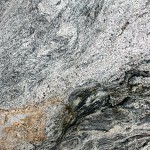 Granite is a natural material with its own unique and inherent beauty. The economy is still hurting a bit. Real estate values are not at their best in the Nashville area. Even a small improvement to your home can see your home’s desirability increase. The two most important rooms to improve for added value are kitchens and bathrooms. The biggest improvement that a kitchen can have is to the actual surface that is the point of the whole room – cooking – and granite kitchen countertops can be that improvement. Don’t quote us exactly on this as each home is unique, but granite kitchen countertops can add an additional 25% of their cost on to your home’s value. Not only will more homeowners in Nashville want your home, but they will be willing to spend more money! If you need more advice about installing granite kitchen countertops in your home in the Nashville area, contact the design team at Stone World today to start your kitchen renovation today!